← Chattanoogan: Jerre Haskew – Folk On! 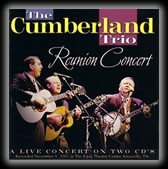 We are proud to update you that the Trio’s music from all four of our CDs- 1964 The Cumberland Trio- RCA Nashville, Lost & Found- The 1964 New York Sessions, 2001 Reunion Concert (live) & 2004 Back Where We Began (live)- is receiving heavy airplay on over 750 FM radio stations around the world and the list continues to grow! About one third of the stations are FM’s all across the USA, as well as 89 from Australia alone! Also we are receiving airplay from at least one station in every country in both eastern and western Europe, as well as throughout Canada and other nations scattered throughout the World. The good word is spreading! This has been made possible by a wonderful service for independent label music like ours called RadioDirectX (www.radiodirectx.com) based in Toronto, Ontario, Canada. RDX faciliates over 5500 FM radio stations around the World receiving extensive samples of indy label artists’ music of many genres, and the stations then emailing the artists they like, requesting CDs for airplay on their stations. Our genre categories are folk, bluegrass, Gospel, blues, Americana, reggae, classical and children’s music.There are about 1250 stations on RDX list that play our various music genres, and to this point over half of them are playing The Cumberland Trio! Thanks to all of you- station program directors, our fans and friends- for making it possible for our dream to come true in this millennium after a 40 year hiatus. It has been well worth the wait!